This connector allows you to export your products into XML format for Google Shopping. 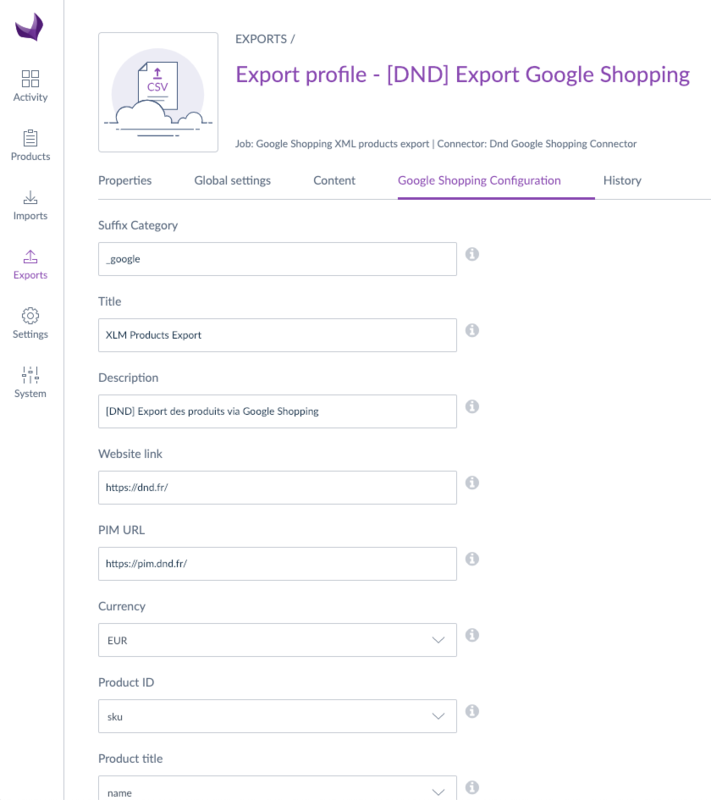 It will create a new "Google Shopping" export type in which you can map your Akeneo attributes to the mandatory attributes needed for Google Shopping exports. The connector will generate a XML file with the correct header for Google Shopping integration. If it's not already done, install Akeneo PIM. dnd_google_shopping_connector: prefix: /google-shopping-connector resource: "@DndGoogleShoppingConnectorBundle/Resources/config/routing.yml"